Even though we are retired, somehow we are busier than ever. So it's nice to get away and actually sit back and enjoy the places we visit. We often head south to our American neighbours when the snow is flying here to enjoy the sunshine and have visited most states from Florida to California as well the western and south-eastern coasts. At home we enjoy our 6 grandchildren who fortunately all live nearby and we love gardening and landscaping, photography, swimming, grandkid sitting, reading and visiting with friends. Cor is always working on long lists of "to-do's" from family and clients that never seem to get shorter. We have no pets but do not object to pets traveling in the guests' RVs. Cor is an amazing jack-of-all-trades and you can probably count on on-the-spot advice or assistance with those little things that always come up when we are on the road. 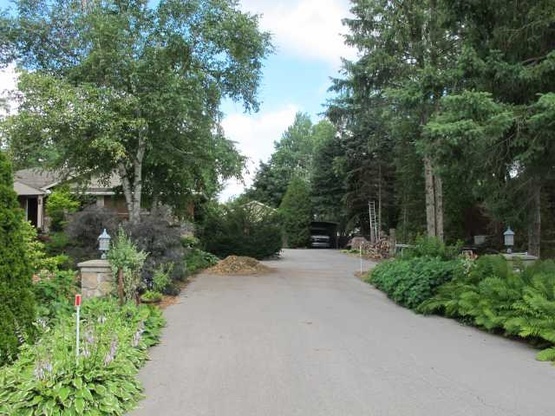 We are located near Waterdown and within driving distance to Hamilton, Burlington and Toronto (1 hour) so you can enjoy the natural beauty of the escarpment or cultural and sports events in the area. 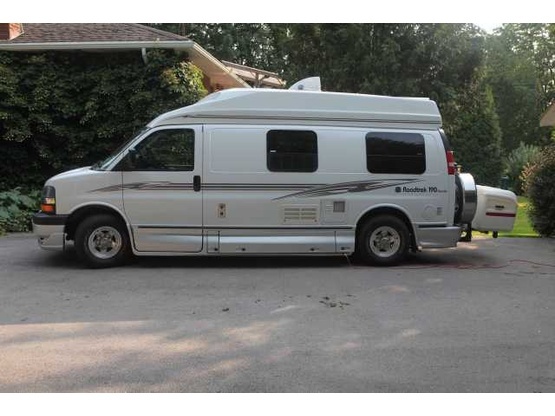 We drive a 2007 Roadtrek 190. With the box attached, it takes up about 23 1/2 feet. We were so lucky to have Two Trekkies stay at our place - and were able to talk them into staying a second night! We became fast friends and feel other Boondockers Welcome hosts would most definitely enjoy them as guests as well. I enjoyed so much this time spent at my host’s location and especially their great hospitality! It’s so nice to meet nice and welcoming people like them. Sharing our passions and specific interests was very enriching. Thanks again for everything! Our second visit was just a fantastic as the first. We feel like we have new friends. Very accommodating , and loved hearing about their travels. Cannot wait until we meet again. Safe travels. What wonderful hosts. Very friendly. Lovely gardens and many long conversations that we felt we were old friends. Boondockers has become such a small world as Cor knew our son-in-law's father. This is the second time we have been to a boondockers that we have known mutual people. Another awesome host, lots of travelling stories and information. Cor is a master of all trades. See you soon. We had two wonderful days which we spent a lot of time with Cor and Anne having some drinks and good conversations together. Both of them gave us a lot of advice where are the best places to go around in Canada and the US which was very helpful. If you will ever visit Germany again you are welcome anytime! Thanks also for giving Stephan a hand to fix something on our RV and letting have our dog such a great time in your backyard. Hopefully will see us again. Totally recommend both! We finally got a Sim Card for Canada in the Best Buy you told us. This is how you want to be treated when you arrive somewhere. Was a pleasure to meet you! Cor and Anne were excellent host that greated us when we arrive. They also were very prepared given the high wind storm the day we were to arrive and we're flexible with is coming the next morning.